Artisanal-quality homemade cheeses are given an updated and revised look into the essential home cheese making guide. 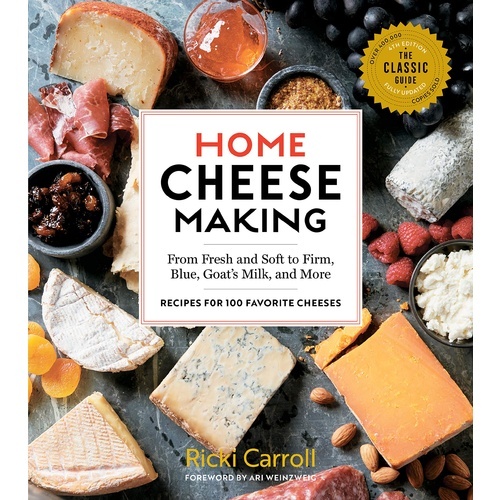 85 recipes to make your favorite cheeses ranging from farmhouse cheddar, gouda, fromage blanc, queso blanco, mascarpone, ricotta, and a mozzarella in 30 minutes! Also included are 60 recipes for cooking with cheese.